Submitted by Jeff Buster on Wed, 11/04/2009 - 20:12. With all the millions of people out there, there are many, many different interests, skills, and personal objectives. Yeah, he told me, I don't need an emergency brake. I just put the car on the ground. 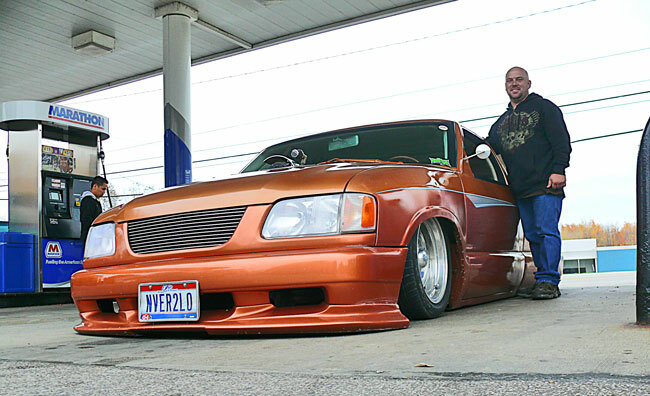 George put his heart into this project, taking an S10 Chevy pick up and totally customizing the suspension, engine, body, and pick up bed. I relish this type of creative individuality. Submitted by Norm Roulet on Wed, 11/04/2009 - 20:43.